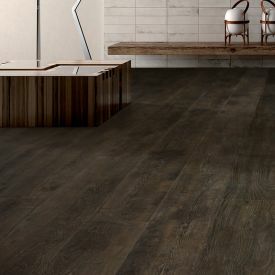 Roasted Chestnut was the direct inspiration for this stunning floor. 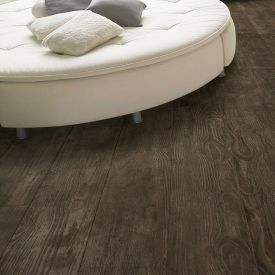 Sultry and dark with registered emboss texture to replicate perfectly a real wood floor. 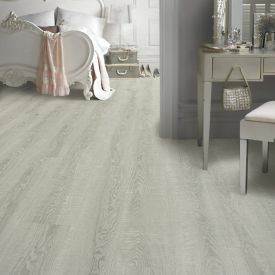 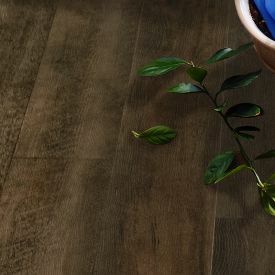 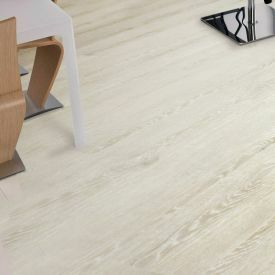 This vinyl flooring is durable, zero-maintenance alternative to wood floors without compromising on that chic organic effect. 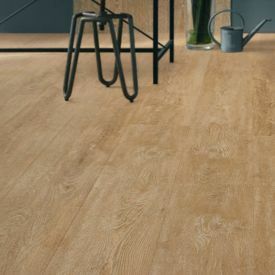 Gerbur’s registered emboss real wood structure and 5mm thickness, this vinyl tile clicks together like a laminate and is installed as a floating floor and therefore requires minimal subfloor preparation unlike the regular glue down vinyl flooring. 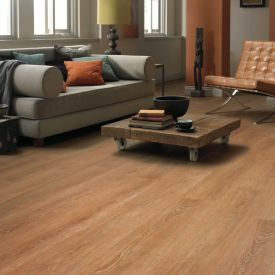 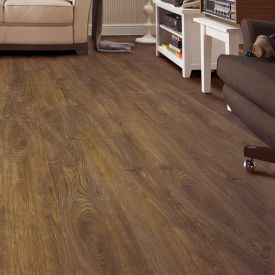 Also offers a more durable and realistic surface than another vinyl or laminate flooring.